Serviced Offices from € 325 per month! 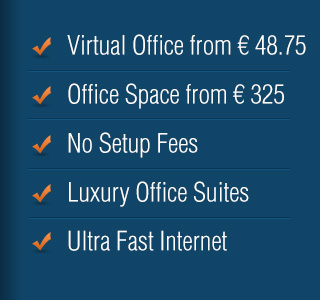 Virtual Offices from € 48.75 per month! Virtually all “non-regulated” business support leaving ONLY the decision making to you, without the unnecessary “procedural hassle” that is handled by our expert and very professional staff! …Even Super-Luxury Car rentals to impress your clients!!!! In the modern business world, access to an up-to-date Information Technology (“IT”) infrastructure and telecommunications (“telecoms”) is essential. Our IT infrastructure and telecoms have been recently upgraded with the latest switches and routers to provide state of the art IT infrastructure and telecommunications. The upgrade included a new Alcatel based telephone system, digital and SIP trunk services, and new handsets for all serviced office workstations. A typical Asymmetrical Digital Subscriber Line (“ADSL”) is by definition asynchronous and has a contention ratio of between 20 and 50. This means that the upload capacity is much lower than the download capacity and that the service is shared between 20 to 50 other users. 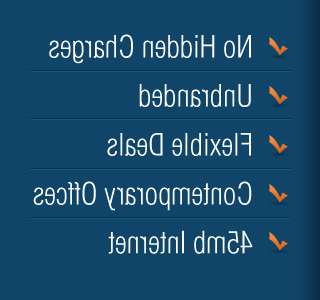 The net result is variable performance and slow uploads. Our standard internet service is a synchronous link providing bandwidth of up to 10Mb/s for both uploads and downloads with a contention ratio of zero i.e. it is dedicated link to the internet. The bandwidth will be shared with other users in the serviced office suites or a dedicated link per suite can be provided for an additional fee. The standard 10Mb/s is upgradable to 100Mb/s should additional capacity be required. We have recently installed a state of the art Video conferencing solution. The newly installed system provides High Definition (“HD”) 1920×1080 resolution picture quality at 30 frames per second i.e. real-time, and Full Duplex HD sound on 55 inch LED displays and can include up to 16 independent callers on a single call. The HD Cameras provide HD images in real-time and the 16-microphone always on digital teleconferencing phone completes the solution.We also have experience on-site IT staff to assist you with all of your IT and telecommunications requirements. The Business Centre includes a modern, access controlled, air-conditioned, secure computer room that houses the core business centre telecommunications equipment. There are two full size racks that can be utilised by Business Centre clients to house servers of their own. This service is not included and will be charged based upon the rack real-estate utilised and the level of support required. For more information contact us with your requirements and we’ll call you back or call us on +357 2226-8300 or email us at enquiries@officespace.com.cy. Is a Virtual / Serviced Office only suitable for start-ups or small companies?